Hollywood will allow the world of the Black Panther to be black, only if it doesn’t hurt white people’s feelings. Black Panther director/co-writer Ryan Coogler has given black people throughout the world an imagined Africa that has been wholeheartedly embraced, earning over USD$1 billion dollars globally so far. This embrace is due, primarily, to the presentation of so many beautiful, black bodies on-screen, including an extravagant representation of fierce, and fashionable, black women. Also appealing is the portrayal of an Africa of independent authority, spiritual alertness, respect and veneration of ancestors and relationship with animals and plants. This is a portrayal of Africa that is hungered for, especially by ancestrally orphaned African Americans. It is deeply satisfying to view. But at the same time, it raises questions alert black viewers would be doing themselves a disservice to avoid posing. 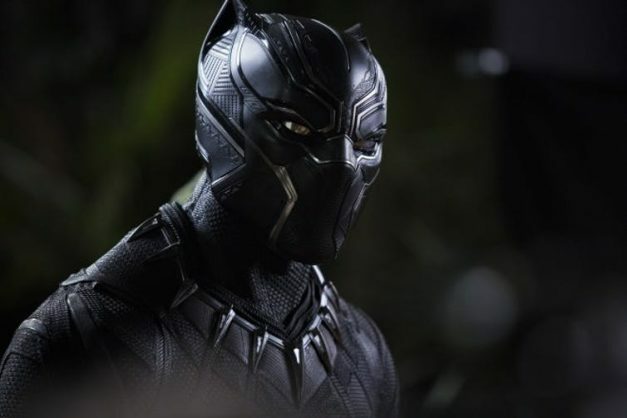 Black Panther appears within a broad Hollywood tradition, with over 100 years of history, that portrays Africa as wild, weirdly exotic, and mysterious, and Africans as tribal savages, backward and subordinate. The framing of Africa and Africans in this way has served to provide the world, including Africans themselves, with a perception of Africa and African people that justified the “saving” and “civilising” mission of Westerners who desired to maintain a colonising influence over the continent. Hollywood’s history of racism triggers the question, why was the first black superhero identified as an African and a quasi-animal? When the original Black Panther comic appeared in the sixties, featuring a black person who was not inferiorised, it was groundbreaking. However, creating an African black panther was unusual. Unusual because it was the Black Panther alone who was not American, and who was instead assigned an African identity. And also unusual because the sixties Marvel universe of superheroes consisted of human-modified characters – Hulk, Iron Man, Thor – and insect characters – Ant Man, Wasp and Spider-Man – but not animal characters, other than Black Panther. discourse on Africa is almost always deployed in the framework (or on the fringes) of a meta-text about the animal — to be exact, about the beast: its experience, its world, and its spectacle. Whether well-intentioned or malicious, the imagination that intertwines the African and the beast has become so commonplace in our minds that it’s hardly questioned. However, when white supremacy is again being boldly asserted in the world, people of African descent who have historically been dehumanised and relegated to the status of animal must question this association. Especially instances, as in Black Panther, when the association of the African and the howling gorilla is made so explicitly. It’s also noteworthy that the first black man superhero was curiously un-superhero like. The character T’Challa did not possess the scientific brilliance of Tony Stark, who is Iron Man’s genius creator and alter ego. T’Challa’s essence was not transformed at the genetic level such that his body, his selfness, became superhuman and superpowerful, like Bruce Banner’s does when he is transformed into the Hulk. T’Challa was not born a god, like blue-eyed, blonde-haired Thor, the Asgardian god of thunder who wields an enchanted hammer that enables him to fly. Despite T’Challa’s imbibing of the purple flower potion, viewers never witnessed his transformation from human to superhero. He only dons a powerful suit. Why was Black Panther not written in such a way as to imbue a black man with true superhero dynamism? Then there are the villains. In Hollywood, there are certain villains that must always be villains, such as Nazis. Then there are heroes, such as white men, who must always be depicted as, in some way, heroic. The story of Western neo-imperialist resource extraction from Africa is well known. However, in Black Panther, the CIA, which is often the true enemy of Africa, has been transformed into the imaginary state of Wakanda’s friend. It is Africans themselves who are depicted as those who hoard mineral wealth to the detriment of the world. Why in a film about the Black Panther, who is a black African man, must an actual enemy of African life go unnamed and an alternate enemy, Killmonger, be manufactured? Does T’Challa not encounter disrespect on European streets, or suspicion on entering high-end shops, or threats from police on US soil like his black brethren? If he does, then why must there be the creation of hostilities between Pan Africans, when their real-life interests against regime-changing global capital and white supremacy are aligned? In other words, Hollywood will allow the world of the Black Panther to be black, only if that world defers to white fragility and does not hurt white people’s feelings. Blackness is allowed only if that blackness likes and supports the values that white people like and support. And only to the extent that black people, though they look good, also exhibit deep cultural flaws. Why are global audiences led to associate the power and strength of black men with black-on-black hostility and violence? Why must there be the implicit suggestion to audiences that African governance inexorably leads to African tribal warfare? Philosopher Frantz Fanon wrote a generation ago that black people must not only be black, but that they “must be black in relation to the white man”. This necessity of avoiding global black reality, in deference to white sensibilities, is the film’s super problem. Hollywood has historically adhered to a racist narrative that portrays black people as inferior. Black people dare not believe that they are being presented with a film that proves that Hollywood now, suddenly, holds them in high esteem. Though the Black Panther film is sumptuous, it is a Trojan Horse. Black people must be careful lest black joy at the gift of the film blind them to the destructive ideologies embedded within it.